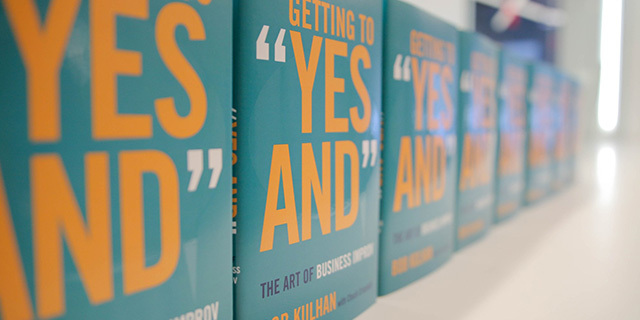 Blog - Getting to "Yes And"
Bob Kulhan is the Founder, President and CEO of Business Improv®, a world-class leader in creating experiential training and development programs for corporations of all scopes and sizes. Kulhan is also the author of Getting to “Yes And”: The Art of Business Improv, and serves as an Adjunct Professor at the Duke University Fuqua School of Business and Columbia Business School at Columbia University and teaches regularly as part of the Executive Education programs at the UCLA Anderson School of Management. Do you feel like a failure? 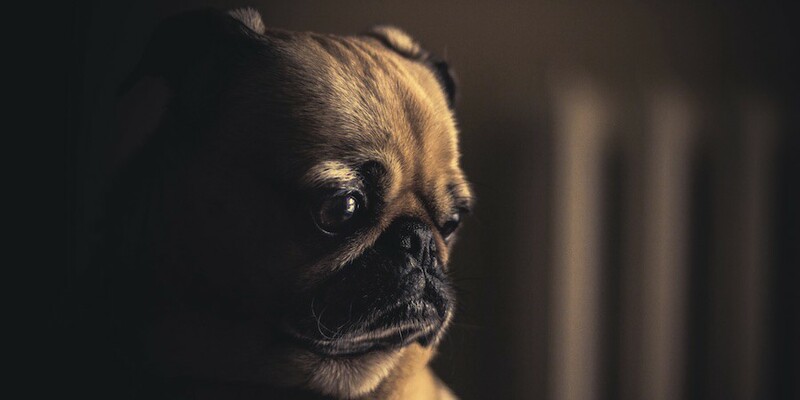 Bob Kulhan shares with us how he has overcome this thought by facing his fears. 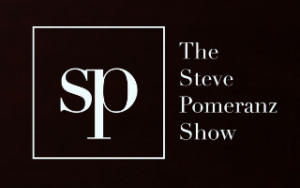 Listen in now. What if I told you I had the key to repairing dysfunctional or broken relationships and it is — wait for it — improv? Yes, improv, an American art form known for its comedic value, can help reunite people who may have wounded each other with words. 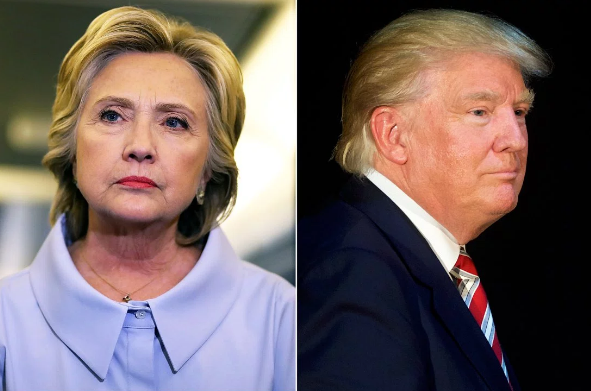 One of the biggest challenges we face, in politics and personal relationships, is talking to each other collaboratively and moving the conversation forward when we find ourselves in disagreement. 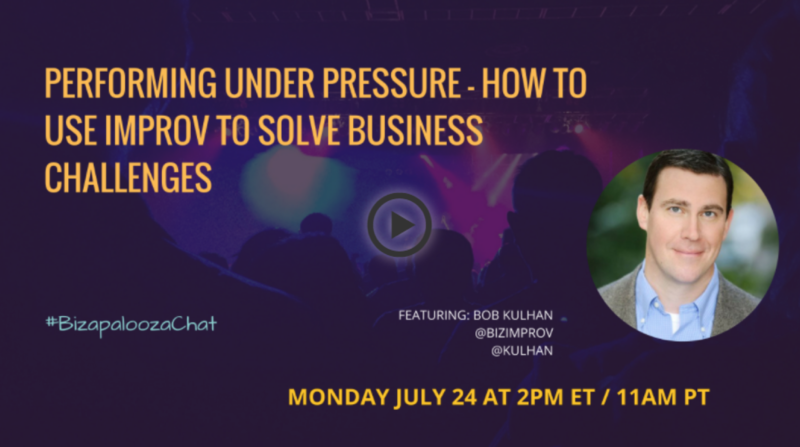 Bob Kulhan is President, CEO, and Founder of Business Improv, an innovative consultancy that specializes in experiential learning and serves an international roster of blue-chip firms. 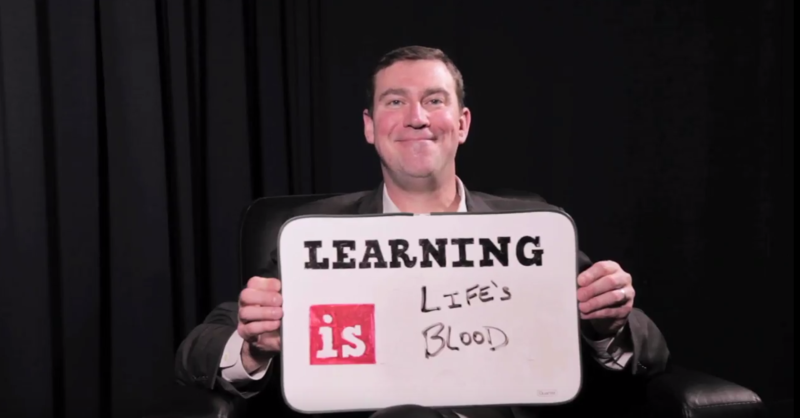 Bob is an Adjunct Professor at Duke University’s Fuqua School of Business and Columbia Business School. 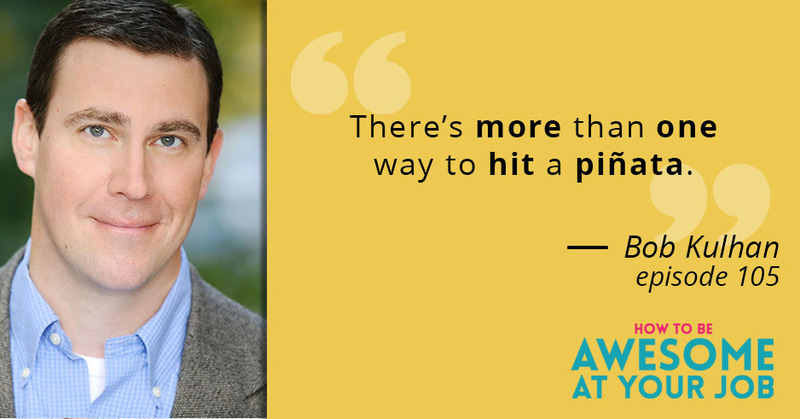 A performer with over 20 years of stage credits, he trained with a long list of legendary talents, including Tina Fey and Amy Poehler. An actor and former core faculty member in Chicago’s famed Second City and a member of the resident company at the iO Theater, Kulhan is a Co-Founder of the critically acclaimed Baby Wants Candy improv troupe. 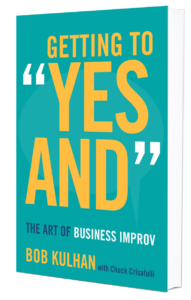 “It is a driving passion of mine to get people to understand that improv skills can be effectively translated into the business world with powerful results,” says Bob Kulhan, veteran improv performer, university professor, and author of the fascinating new book, Getting To “Yes And”: The Art of Business Improv. 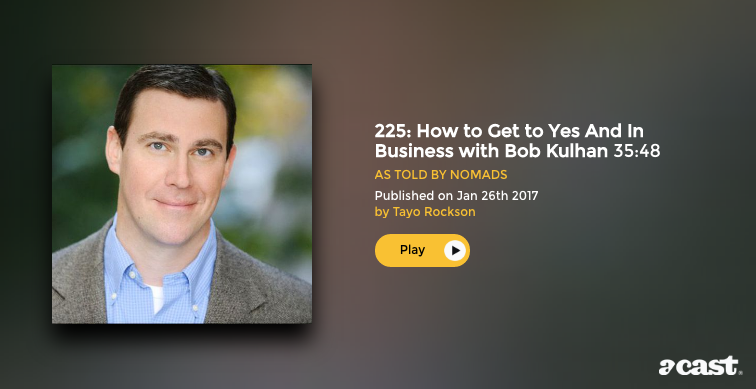 Joined in studio today by Bob Kulhan, founder and CEO of Business Improv, and author of Getting to Yes And: The Art of Business Improv.Learn more about Bob Kulhan’s book here. How to increase employee engagement and productivity. w/Bob Kulhan. At first glance, “improvisational leadership” might seem to be contradiction in terms. Leaders are thoughtful, strategic people; improvisation is a comedic art form and a team sport in which no one person is greater than the ensemble. 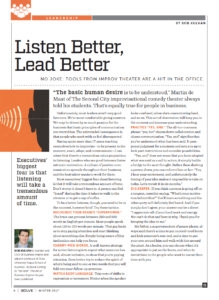 However, when you redirect the tenets of improvisation away from comedy and toward leadership, they help your team perform at its best—by postponing judgment, communicating and connecting, leveling status, and achieving mindfulness. Improv isn’t a replacement for strategic thinking; rather, it’s a tool to buttress and support thoughtfulness and strategy. And that crucial moment when planning and strategy collide with execution is where improvisation shines. 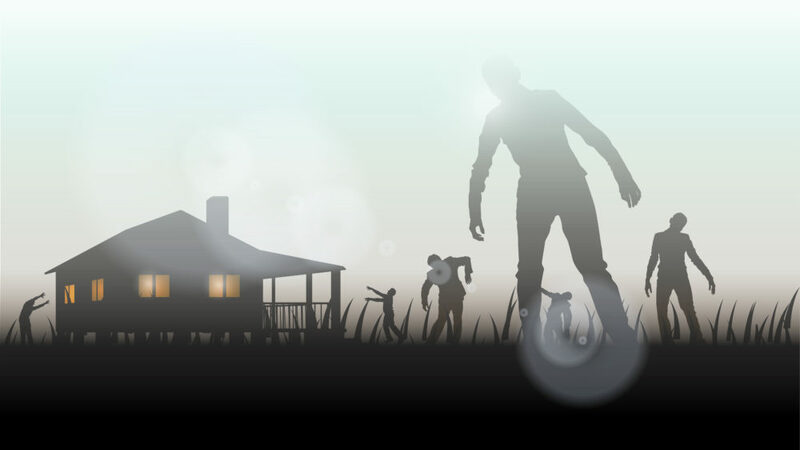 The Zombie Apocalypse is upon us! The government has collapsed. Communication is down. Chaos is the new order. What do you do? Who do you team up with? How do you survive? On Sunday, October 23, the premier of Season 7 of The Walking Dead (TWD) will air. What follows is a memorandum on how to embrace change and thrive in the unexpected, told through the lens of an improviser.